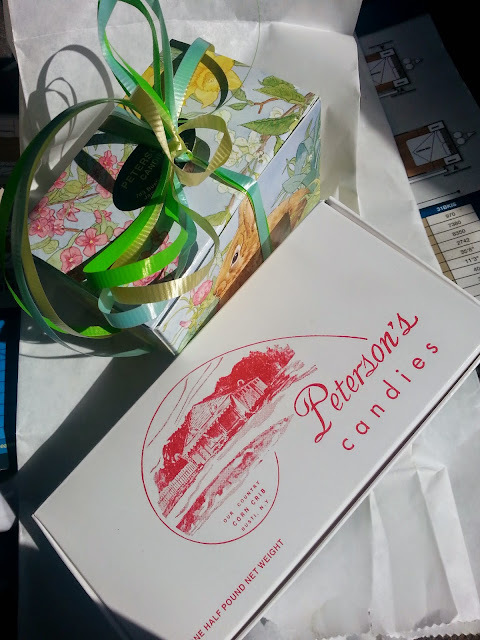 As a young child, I have some fond memories of my mother coming to his well known Candy store and stuffing small white boxes with chocolate delights. I would later find them in my Easter basket or for Valentine's Day. It was a tradition she kept up with until I was in High School. Mac and I were out driving the country side when I thought I would stop in for a visit. 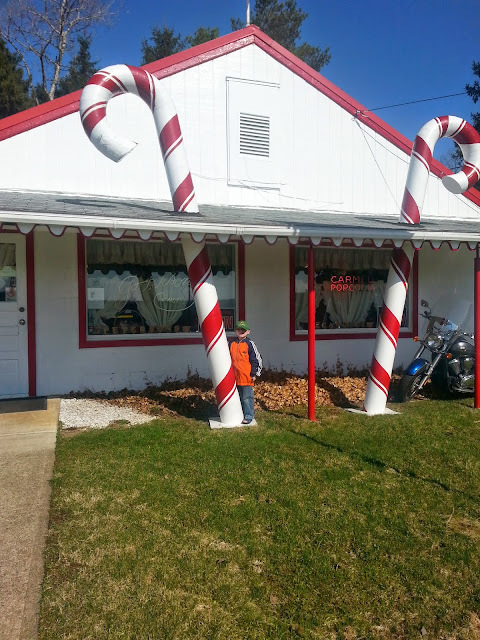 He immediately started for the HUGE Candy canes to "touch" them and see if they were real. 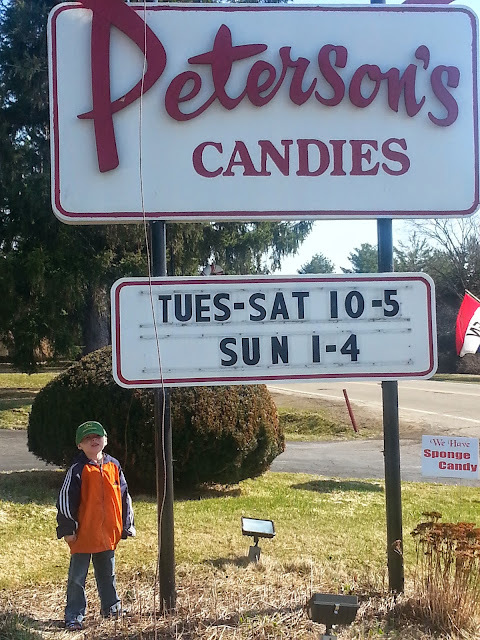 I am not sure what constitutes "real" since they are not candy but to him he could touch them and that was so COOL! So I promised to take a few photos of him with them just for bragging rights. 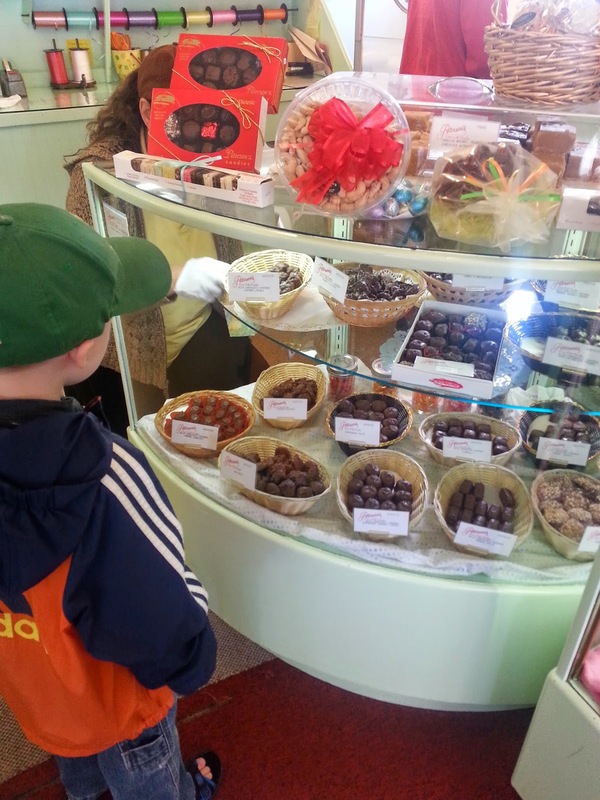 I was VERY happy to find a nice selection of Sugar-free candies he could choose from. I don't encourage candy in my home since it is a bad eating habit and he can't have sugar. But every now and then I like to indulge whilst still adhering to his medical needs. We decided on some treats. He was so excited it truly was a nice idea to stop and spend some time here with him. I assume many of us have memories like this we pass down to our children and I am glad to say this place was one of them. The store is clean and smells like chocolate!